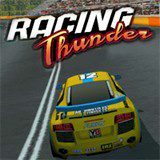 Race against other skilled drivers and upgrade your car to win championships. Use nitros and other stuff to win. This game is for true extreme drivers. You must choose your car and its paintings and win some tracks. Unlock new upgrades and more powerful cars!